Dubbed ‘Pen & Paper The Album Launch Concert,‘ it will see the BBNZ acts perform cuts from their upcoming album and old fan favourites. They will be supported on the night by Kwesi Arthur, Magnom, Kidi, Kwame Eugene, B4Bonah, Gemini, DopeNation and Cina Soul. It will be held at Alliance Francaise. 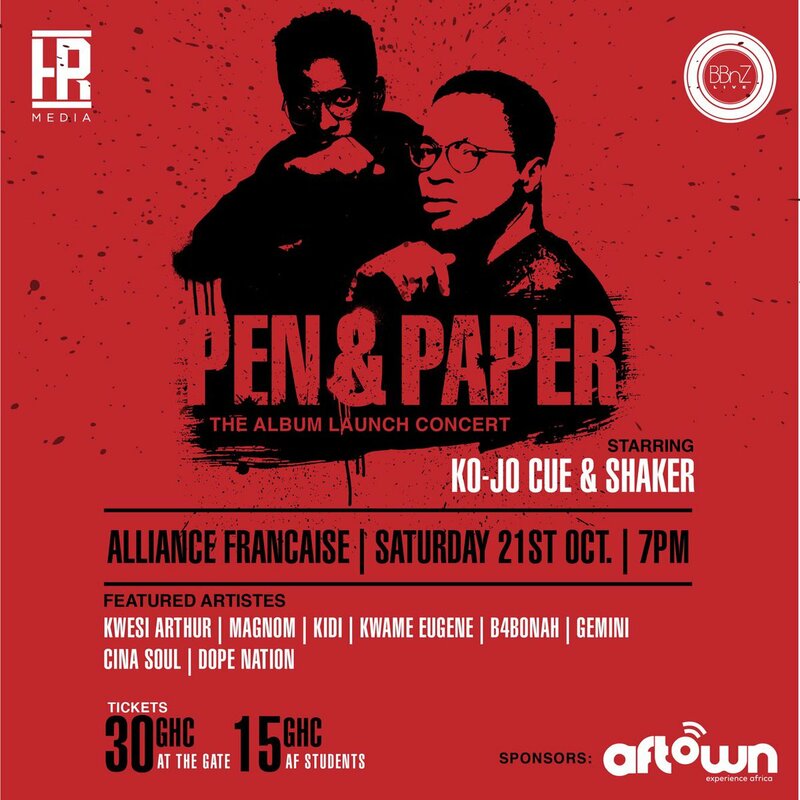 ‘Pen & Paper The Album Launch Concert‘ is sponsored by Aftown, a Ghanaian music streaming service and an online music store. The duo announced the release of their album about a month ago during a press soiree. The strictly hip hop project will have twelve songs and two bonus tracks. A campus tour to support the project was also announced at the soiree. Don Max To Launch Music Album "La Tohme"